The second presidential debate might mention that a Russian state newspaper predicted direct confrontation with the United States over Syria. Neither candidate will probably note that the escalation comes as solutions to protect America’s frighteningly vulnerable electric grid system languish on Capitol Hill. Each should be reminded that an increasingly popular target for U.S. adversaries sits largely unguarded. Thankfully, Texas can take the lead. As the only state with a self-contained grid, Texas finds itself in a remarkable position to protect the nation by protecting itself. The primary concerns involve electromagnetic pulse (EMP) and cyberattack. An EMP is a tremendous burst of energy caused by naturally occurring solar storms or the high-altitude detonation of a nuclear device. Such an event would cause irreparable damage to the grid and other electronic-based equipment over a wide geographical area. The congressionally mandated EMP Commission concluded in 2008 that such an event would cause a year-long blackout, leading to cascading devastation and the possible deaths of an estimated 90 percent of all Americans from starvation, disease and anarchy. 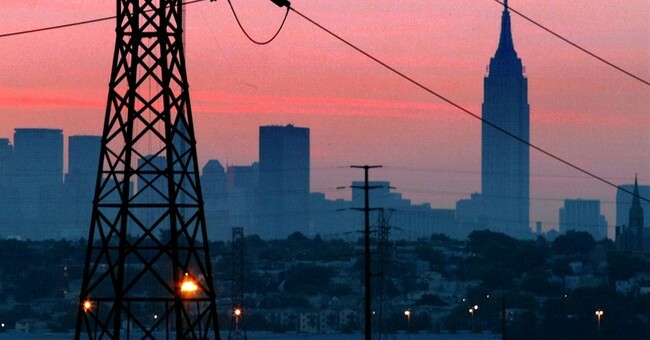 Canada experienced a natural EMP in 1989, causing a day-long blackout across half the country. Another in 1921 damaged electronic railroad switches throughout North America. The most powerful on record, known as the Carrington Event, occurred in 1859, which impaired telegraph systems worldwide and destroyed the intercontinental telegraph cable at the bottom of the Atlantic Ocean. The same weather related incident today would have enormous repercussions for our multilayered, interconnected web of energy and electricity. In fact, NASA discovered that the Earth narrowly escaped another Carrington on July 23, 2012. More pressing, though: America’s adversaries now see the downing of the U.S. electric grid as perhaps the most efficient, cost-effective and achievable method of attack. The 2008 EMP Commission found that Russia and China have considered limited nuclear-attack options that “employ EMP as the primary or sole means of attack.” Iran’s “Passive Defense” military doctrine, translated in 2010, made mention of using EMP over twenty times. The Executive Director of the EMP Task Force Peter Pry testified that North Korea actually practiced an EMP strike scenario in early 2013. The grid is also at risk from sophisticated cyberattacks. In July 2004, Russian intelligence infected 1,000 power plants in Western Europe and the United States with a so-called “dragonfly” computer virus. Eleven years later, Russian hackers used a more sophisticated code and successfully triggered a massive blackout in Ukraine that left 300,000 people without electricity and water for several hours. The “BlackEnergy” malware had the capability to destroy fundamental parts of a hard drive and industrial control centers. The event reminded observers that the intent and capability of state-sponsored malicious code had moved beyond data manipulation and disruption to physical damage. And the integration of advanced technology layered atop America’s aging grid leaves it exposed to these kinds of destructive viruses. This old infrastructure was never designed to defend against 21st century threats. The federal government remains slow to act. Indeed, preemptive security policies can be the most difficult to sell because it requires action be taken against a potential threat rather than a realized one. But America should not have to experience the devastating consequences of a prolonged blackout in order to justify protecting the grid. Texas can and must lead the way -- the country depends on it. The Lone Star state has the second highest concentration of military installations outside the Northern Virginia/D.C. metro area, and hosts just over 11 percent of the active duty military population currently stationed in the continental United States. Add in civilians, reservists and National Guard members, and the total defense-related population in the state exceeds a quarter of a million people. Since 2002, over 1 million military personnel have been sent from Texas in support of the United States’ most important international conflicts. Texas-based C-130s transport planes remain the primary emergency response component for the entire Gulf Coast. Finally, Texas ranks in the top three for receipt of defense contracts nationwide. From rapid mobilization to next generation weapons, the Lone Star State is at the heart of America’s safety and security. America need not wait for the jarring gong. And Texas can take the lead.